The content of this site, all of the authors' rights and all other related intellectual property rights belong to La Moresca S.r.l.- Via Benedetto Croce, 38- 84121 Salerno or the persons that provided the content. No other use of the site is permitted without prior written consent ofLa Moresca S.r.l.- Via Benedetto Croce, 38- 84121 Salerno. This includes utilization involving modifications, publication, transmission, execution of derivative procedures, incorporation in another site or reproduction of the site or its content (including through links, frames or any other means). Access to this website must not be understood, by presumption, as an exception or otherwise, as granting of a license or the right to use the trademarks that appear on the site without prior written consent ofLa Moresca S.r.l.- Via Benedetto Croce, 38- 84121 Salerno or the third parties who possess the other trademarks. 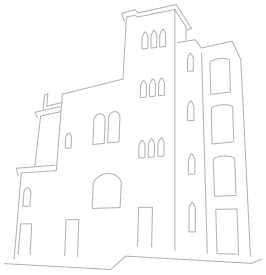 Therefore La Moresca S.r.l.- Via Benedetto Croce, 38- 84121 Salerno will not be held responsible for any damage or loss of any kind suffered by third parties due to contact with this site, or following the use of materials published on it.